Need to get layout skills ? We have experts to train you ! Let’s talk about your training project! --- You are ---A companyAn agencyA freelanceA particular By submitting this form, I accept that the information entered will be exploited as part of the request for information and the commercial relationship that may result. The Professional help tool for automation in InDesign. EasyCatalog is an automated formatting solution. 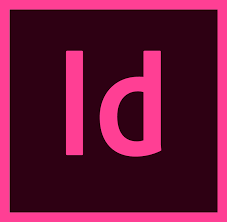 This module allows the connection between data “Product” structured and content of an InDesign document. This link is bidirectional : any changes made to the data source can be reflected in the document, and vice versa. For graphic designers and professionals of layouts. Prerequisite: Knowledge of InDesign (styles, tables, jigs…). Objectives: Learn how to use the basic features of the tool, adopt the methods and tools tailored ( import data from Excel, create simple jigs, assembly: manual and in text flow…). Duration: 2 days (14 hours). Prerequisite: Knowledge of InDesign (styles, tables, jigs…) and have followed basic training of EasyCatalog. Objectives: Learn how to use the basic features of the tool, adopt the methods and tools tailored ( create complex jigs , summary or automated index, manage all types of automatic assembly…). The professional layout tool in paper and digital format. Used to create magazines, newspapers, books, pamphlets, InDesign focuses on form and allow to apply layouts much more complex and creative than word processing software. Designers’ favorite tool, it is the most widely used page layout software. For those wishing to learn the layout and graphics. Prerequisite: Having notions of graphic design and typography (desirable). Objectives: Learn to use the basic functions of a layout software : Adobe InDesign (interface, tools and menus, create and configure a new document, setting basic page…). For people from the graphical layout activity. Prerequisite: Have followed the InDesign basic training. Objectives: Learn how to use the advanced features of a layout software : Adobe InDesign ( advanced styles, manage long documents, complex tables , correction before export…).